The guys over at The Fast Lane Car were trolling around the foot hills of Colorado last week and ran across a pack of 2018 Corvette ZR1s sleeping in a hotel parking lot. They managed to grab some awesome up-close photos and later, chased one of the prototypes through the mountains. Power is expected to come from a more robust version of the Z06’s supercharged V8 developing around 700 – 725 horsepower. Interestingly, all of it will be routed through a manual gearbox. It’s unclear at this point whether we’ll see an automatic transmission or not. 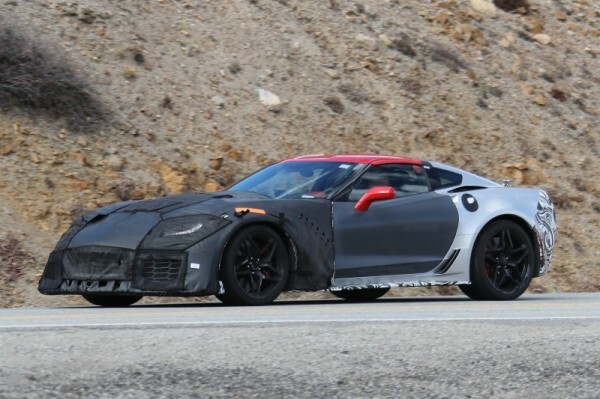 The 2018 ZR1 will be out sometime next year to soldier on for a few years until the next-gen Corvette comes along. previous [VIDEO] Feast Your Eyes on the 2018 Corvette ZR1 Convertible!